Finding a money-making niche for your blog is not as easy as it sounds. As all the top bloggers would say, finding a blogging niche is crucial for your overall blogging success. It helps you focus and streamline your content to serve your audience and community. When a reader arrives at a well thought out niche, they can tell in just a few clicks exactly what the blog is about and begin to trust the writer with the topic- you establish authority in a subject. While it might be easy to start a blog, easy to set up, easy to design, easy to promote…making six-figure money can be difficult if you haven’t found your niche or your niches is either too broad or too specific. Let’s talk about niches. If you are too specific and for example, write about cats and knitting, there may not be too many readers out there can help you push your blog income over the six-figure income mark. But if you write about everything under the sun, then you are just a small part of a broad, saturated market—very difficult to find…and let’s be honest, would you rather read about a topic from someone that is a perceived authority on something or from someone that you can tell is just trying to make something stick and seems disorganized? Making a six-figure income blogging doesn’t come easy, but with a little bit of research, you can find the perfect niche and proudly stake your six-figure claim on the world wide web. The Importance of a Six-Figure Blogging Niche? Choosing a blog niche that is true to your passion and voice will make your life easier as a blogger. When you are passionate about a subject, you will have a lot to talk about. Your goal as a blogger is to want to serve your audience or community with as much of your perspective as you can and add value to their lives. Think about your ideal reader and what they would want from you. What kind of services can you provide them? What kind of content can you write for them? What value do you provide? It is not enough to simply get them to your site, you want to be able to convert them to solid fans of you that will return over and over again. After your initial set up (learn more here! ), finding a niche is the most important part of setting up a blog. The biggest part of earning money blogging is that you have to find a pathway to grow. You have to niche in order to grow and build a following, but like I said earlier, if you are too specific, it can be hard to find your ideal reader in the billions of people out there in their world. You have to understand the fine line of what works and what doesn’t but also recognize that your own perspective and voice on topics. This is why making money as a blogger can be crazy and confusing…you want to build traffic to site, but you also want to build established fans of your site- those that will return over and over to hear what you have to say or sell. In case you are new to blogging, after you have found your niche there are a number of ways that you can earn a six figure income blogging. Three of the main ways that six figure bloggers earn income include representing products for other companies for a small commission (this is called being an affiliate), becoming an influencer (sharing and writing about products that you love for commission) and creating and selling your own products (think eBooks, courses, webinars, coaching services). So, as you work on defining your niche, keep the money making strategies in mind and check out these top 5 niches for six-figure blogging incomes. The lifestyle blogging niche is a huge niche covering everything from homemaker to corporate life. My blog (workitwomen.com) falls into this category. 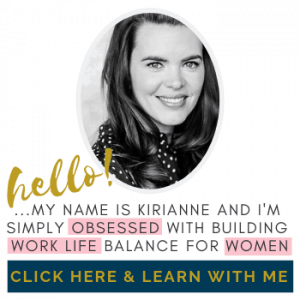 I blog specifically to working women or moms who are looking to build work life balance in their careers, family and relationships. 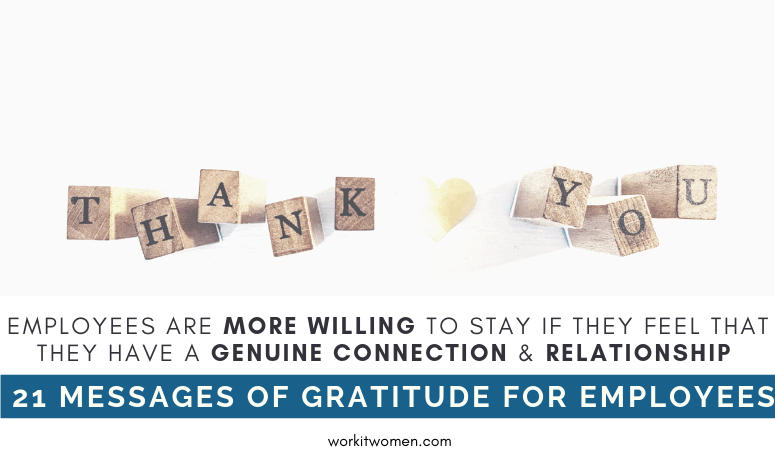 While this may sound specific, it actually encompasses 3 of my favorite topics that I am always asked for advice on…areas that I can speak to, create from, and serve my working women community. This category covers so many possibly that almost anyone can have six-figure income success if they can figure out exactly who they are blogging for and align the products that they would need. The personal finance blogging niche thrives online because the internet is a non-threatening place to talk about money. Budgeting, expenses, and frugal living come alive with creative bloggers that are able to help inexperienced users in the financial aspect of their lives. The keywords ‘saving money’, ‘budgeting’ and ‘making extra money’ are some of the top keywords out there. If you have a passion for money and a voice for personal finance, even better if you have advanced degrees in the field with expertise, then this niche is for you. 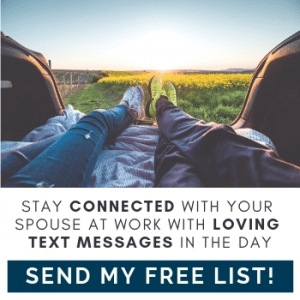 There are so many ways that you can serve your community in a positive way and help others get out of debt or make extra money in side hustles. The food and recipe blogging niche is one of the fastest growing areas, especially marketed in Pinterest that serves as a powerful visual search engine. Gone are the days of looking for an old recipe card, readers are now craving step-by-step pictures and video tutorials of how to make favorite foods and try new recipes. With the right pinterest pins and blog page visuals, this niche will get tons of page views, but it is more difficult to sell products outside of sponsored food related items and personal recipe books. But if you find your target ‘eater’, you can build a large fan base for life that will keep returning for more of what you have to offer and help them create. There are a number of great WordPress website plugins that you can use to display beautiful recipes on your site. Arm yourself with a great camera and you will be on your way to earn a six-figure income in no time. There is a whole niche on bloggers by bloggers who blog about blogging! Sure, many bloggers talk about blogging on the side, but there are number of bloggers and entrepreneurs that have made it their passion to educate and inspire a new wave on entrepreneurs to reach new goals in blogging. Not only do bloggers have courses on how to blog, there are a number of sub-niches on blogging resources and products, technology support and online business and social media marketing using Facebook, Pinterest and Twitter to name a few. 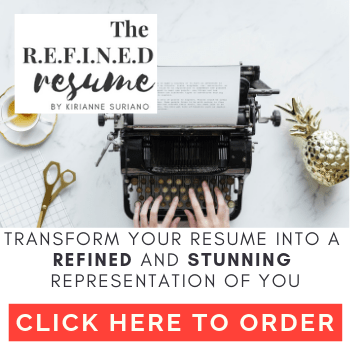 This niches provides a rich education to budding entrepreneurs and bloggers, that they may otherwise not afford in college, on building your business and becoming your own CEO. Now that’s a dream worth having! Once again the internet is a safe place to ask questions when you have concerns about health or want to learn about personal fitness. More than ever, people are always looking up how to get in shape and what is best for them with healthy living. This niche is super popular because it is so vast. You can go from blogging about your own fitness journey, to sharing fitness programs or ‘healthy lifestyle” alternatives as well as specific health tips and tricks. 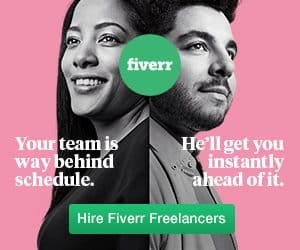 This is a fast-growing niche with plenty of opportunities to grow and create products that help people in so many ways, the only area to caution is making sure that when you are are sharing health advice that people know to consult a doctor (something you can always add a disclaimer to on your site). If you are BIG in Instagram post and stories, you can become a very wealthy influencer in a short period of time in this niche. The opportunities are endless to grow and earn a six-figure income! 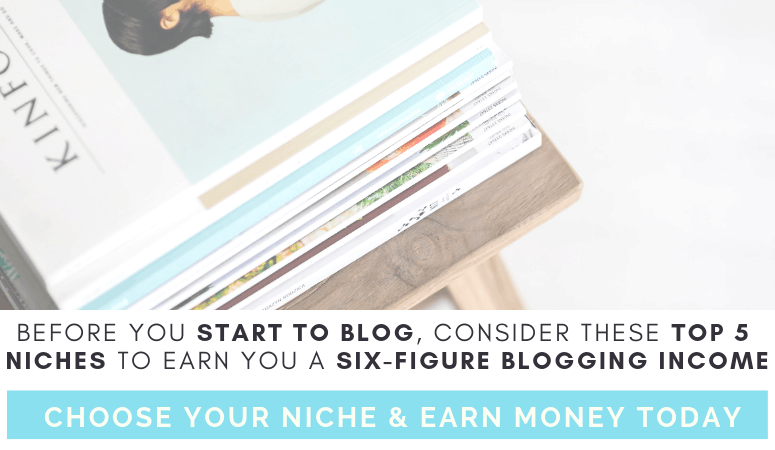 You still might be asking about how do you choose a niche to become a six-figure blogger? I will always advise that you niche down and blog about what you are passionate about, but also keep in mind if it falls in any one of these 5 top categories, you may have a greater opportunity to earn that six-figure deal. The niches shared above and a few others have one major theme in common- they support bloggers earning a six-figure income and working full-time on a blog. Own schedule. Own rules. If you are thinking about starting a blog, then head on over to “Live and Enjoy Financial Freedom with a Money Making Blog” where I can walk you step by step on the basic start up. Niching is all for you and the five categories are your ticket to six-figure freedom. You never know who you might influence while creating some extra income for you.